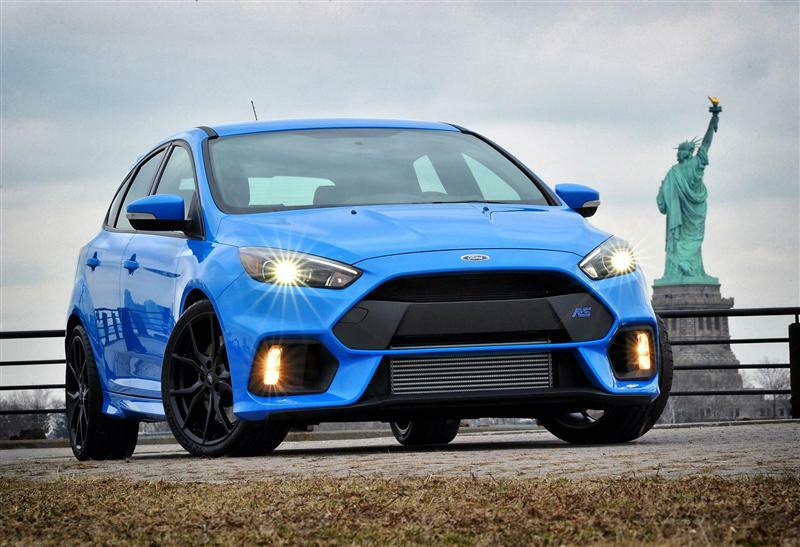 The new Ford Focus RS with all-wheel drive, powered by 2.3-liter engine which generates 350 HP. 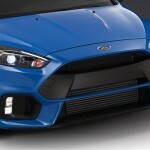 Ford Motor Company revealed more details of their best Hot Hatch on the car show in Frankfurt. 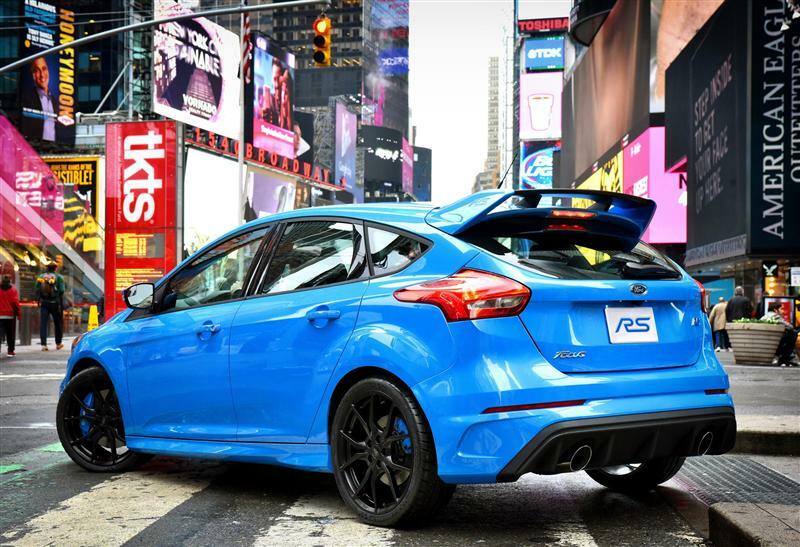 The third-generation of Focus RS accelerates to 60 mph in less than 5 seconds! 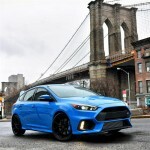 Thus it can match with Mercedes A-Class 45 AMG or Audi S3. 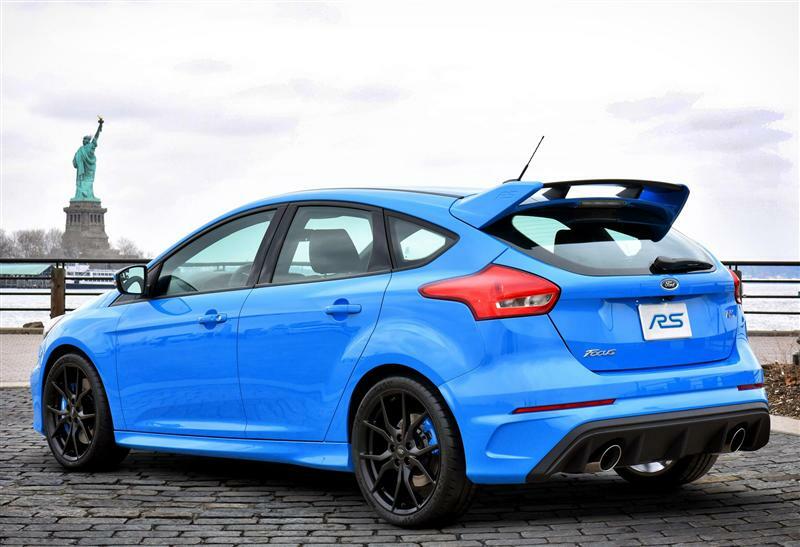 In Geneva at the beginning of the year, Ford gave only an approximate power 320+ hp. We could only assume that the car will have to compete not only with the Honda Civic Type R, but also with stronger rivals. 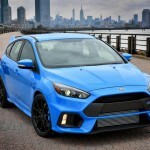 The company announced that a four-cylinder engine with a capacity of 2.3-liter which is already known from Mustang, in the Focus RS reaches the power of 350 hp at 5 900 rpm. 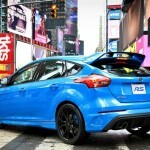 The first trailer showing the full glory of RSA. 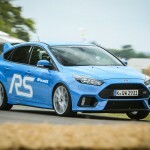 See also 3 Fords at Goodwood festival of speed. 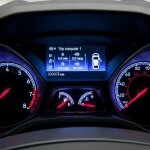 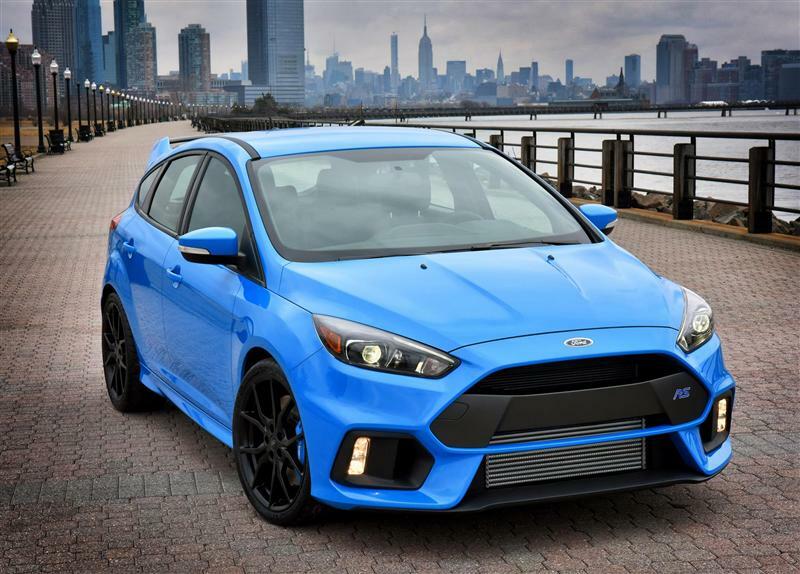 Focus RS according to data ramp up from 0 to 60 mph in 4.7 seconds, and the maximum speed would be 165 mph! 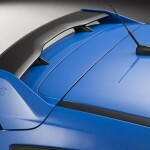 Redline appears at 6800 rpm and maximum torque of 440 Nm is available from 2 000 to 4 000 rpm. 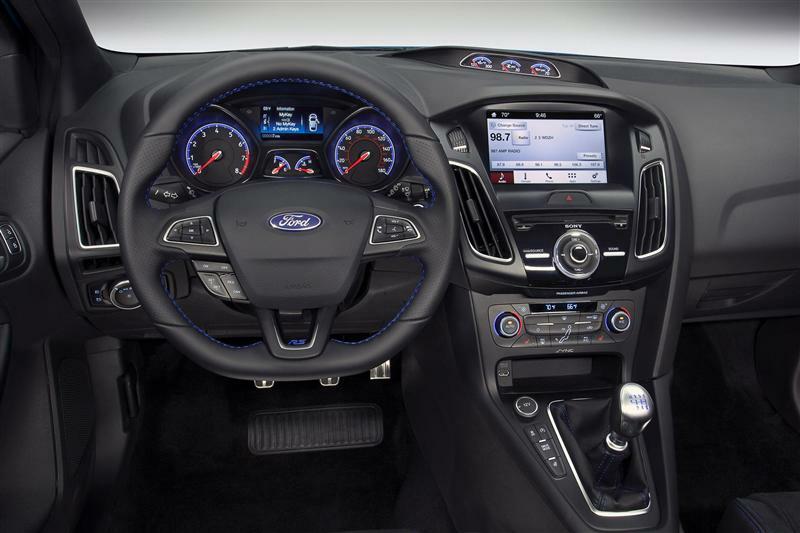 The new power control system aims to provide the most optimal distribution of the drive power to all four wheels. 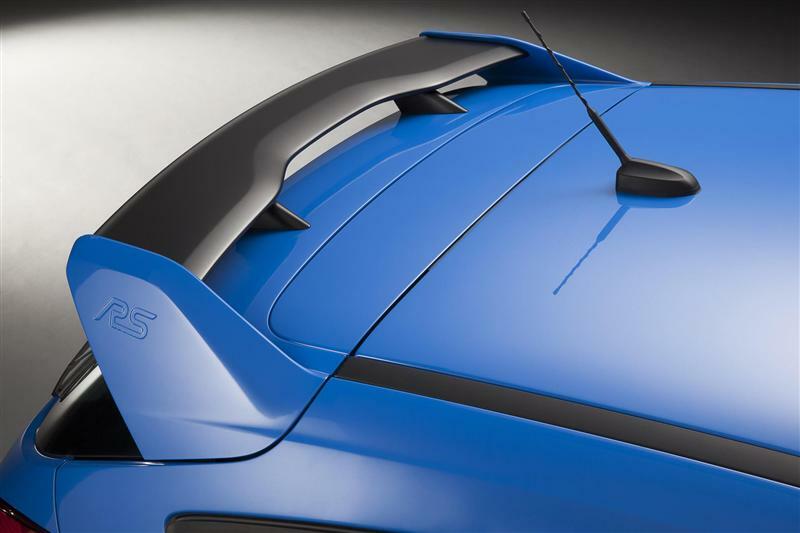 In addition, the system has an OverBoost function, which will allow for up to 15 seconds to get torque of 470 Nm! 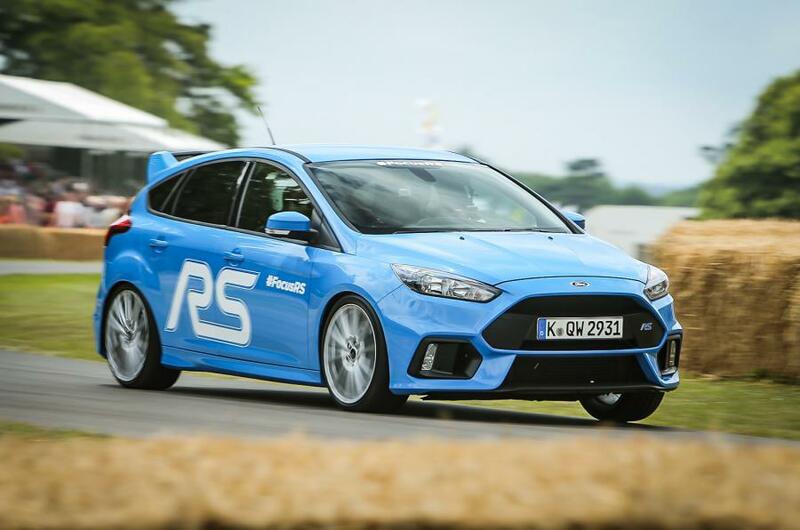 RS model will be available with a manual 6 speed gearbox. Ford Performance also applied the system of All-Wheel Drive with dynamic distribution of Dynamic Torque Vectoring. 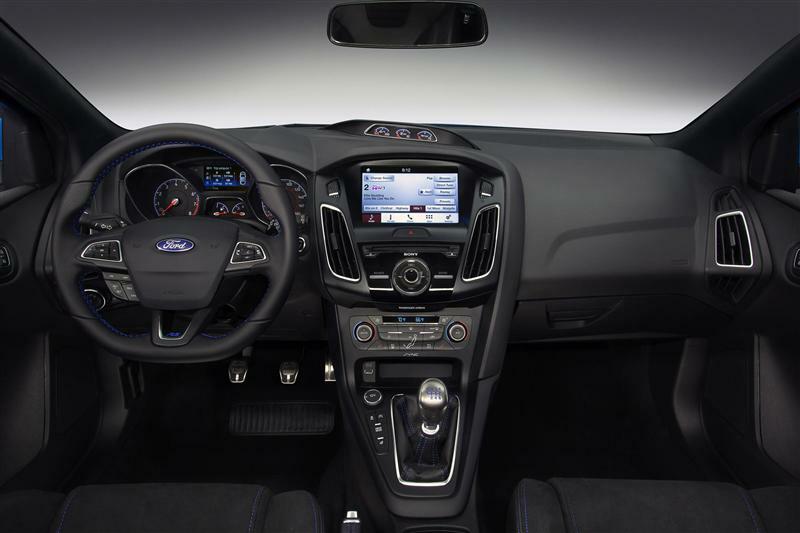 During driving will be possible to select the Drift mode that allows controlled oversteer slide and car will be equipped with Launch Control function. 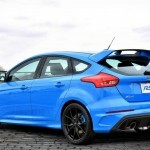 RS price for a really well-equipped version will cost about 31 000 Pounds. 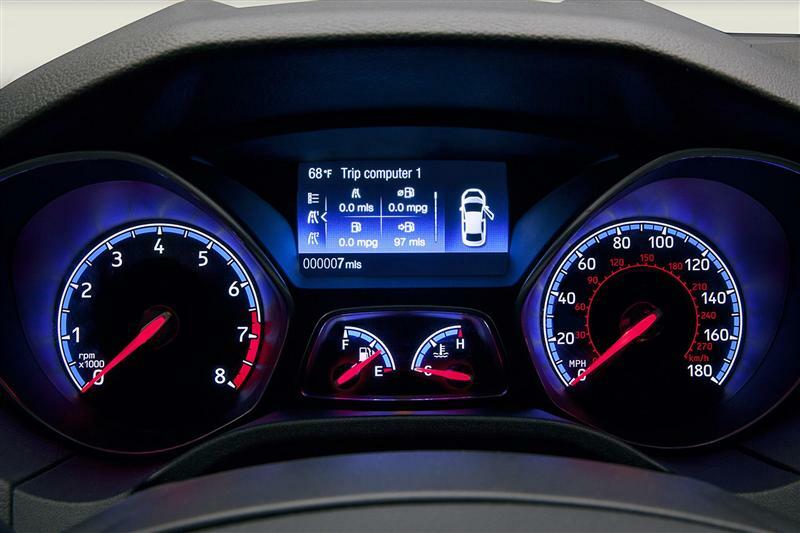 Base option will be oscillated about 28 940. 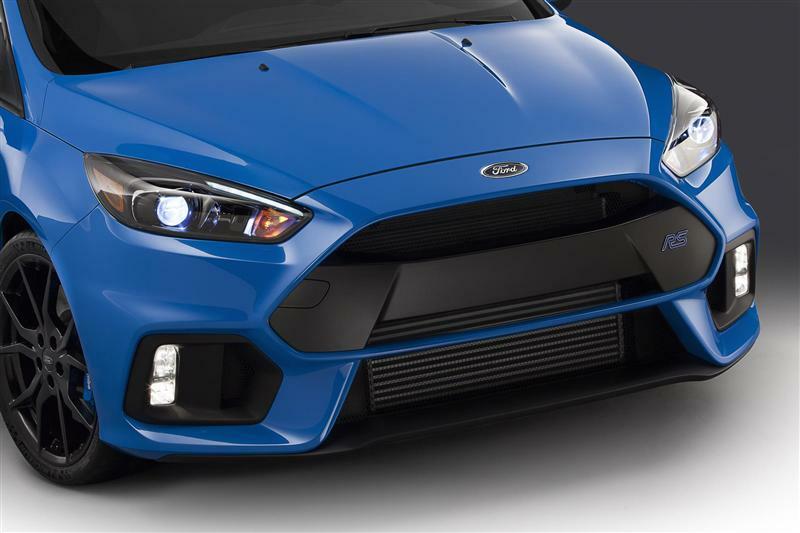 Ford RS will be available in the new 2016 orders are accepted now, but only in select FordStores.